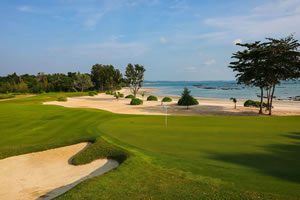 Pullman Danang Beach Resort sits directly on My An Beach. 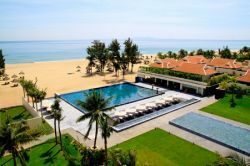 This beachfront property is only 5 minutes from downtown Danang, 15 minutes from the Danang Airport, and 30 minutes from Hoi An. The hotel features a long pool corridor, day spa, and health club. The rooms are contemporary styled and modern with light colors and wood accents. 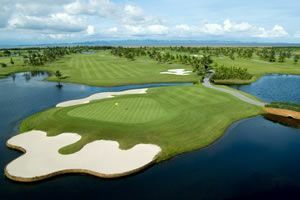 Two Danang golf courses are within 10 minutes from the Pullman Danang Beach Resort.